Email open rates are low. As low as 10% in some industries and never more than 50%. For retail emails, the open rates are between 13-22%. 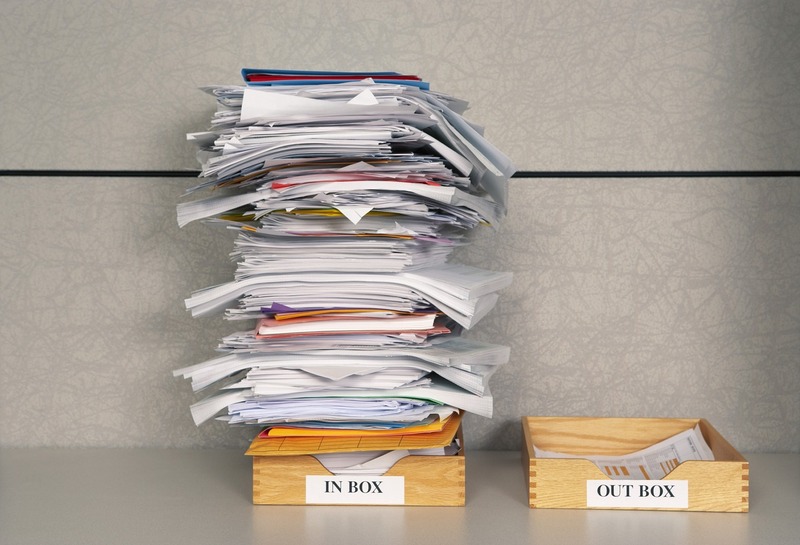 The average working individual receives between 100-200 emails a day across their work and personal emails. More and more email is opened on mobile devices. Research puts it at between 25% to 65% of email and growing. Consumer emails represent a larger percentage of email open on mobile because many individuals don’t have access to their consumer email at work except for on breaks or on their phones. In 2015, for the first time, the majority of online shopping visits in the U.S. — 51 percent — occurred on mobile devices. With browsing increasingly occurring on mobile phones, sending an email while on your site is a clunky process. First, the shopper has to find your email. Ideally, it’s clickable (if not they have to copy it). Then, their email app opens and the first thing they need to do is think of a subject line. If they didn’t stop there, the shopper has to remember the name of the product. Depending on what it is, they may need to go back to their browser to confirm but by then, they sometimes already navigated away to the contact us page. Now, your shopper is clicking back multiple times on their mobile browser. In the meantime, a Facebook notification has come in, or their friend texted about weekend plans. So many distractions. Giving up or thinking they’ll ‘do it later’ never looked so good. That’s why conversion rates are so low (5% conversion to cart, 30% cart completion). Attention spans are at an all time low. Consumers want instant gratification and using their mobile phones, they can get it. It’s so much easier to go find a product they want on a different website or through Amazon. Why wait for your email reply? By the your reply gets to them, if they ever open it, it is often too late. It’s so easy to do. Customers who would never email you, will now engage. 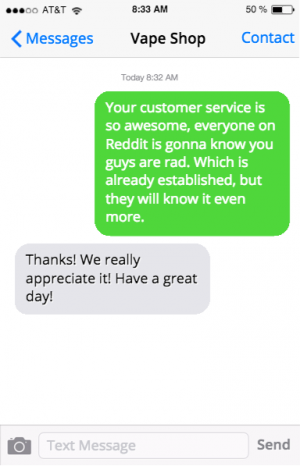 The shopper clicks a number, their messaging app opens. No subject line is required. They can just type what they need. If you’re using the OwnerListens Message Mate, there is no need to navigate from the page so if they want to go back to it to check on a product name or quote an error message to you, it’s super easy. For millennial shoppers, it’s a cultural generational issue. Younger audiences (30 and under) grew up with texting as their first means of communications. In fact, when they look at a phone number, they’re thinking here’s a texting number, not a calling number. It’s much more natural for them to send a text. Millennials are particularly important to ecommerce retailers because they spend more money online shopping than any other demographic. Texts have a 97% open rate! That’s triple to quadruple the open rate of email. It means no matter what, that customer will hear from you again. 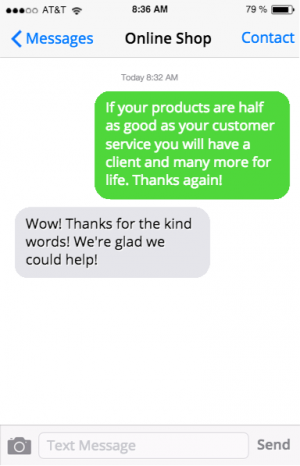 Ready to text with your customers? Get our Message Mate texting widget for your ecommerce website and watch as more customers roll in. Sign up for a 14 day free trial and get your own custom number or schedule a demo with us to see how it would work on your website.